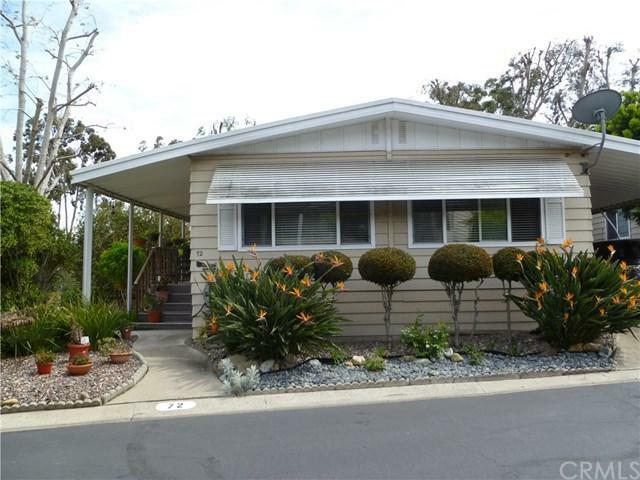 Come see this picture perfect 2 bedroom 2 bath home, located in the rolling hills of beautiful San Juan Capistrano. Enter into the light, bright and airy living room that features tons of natural light. 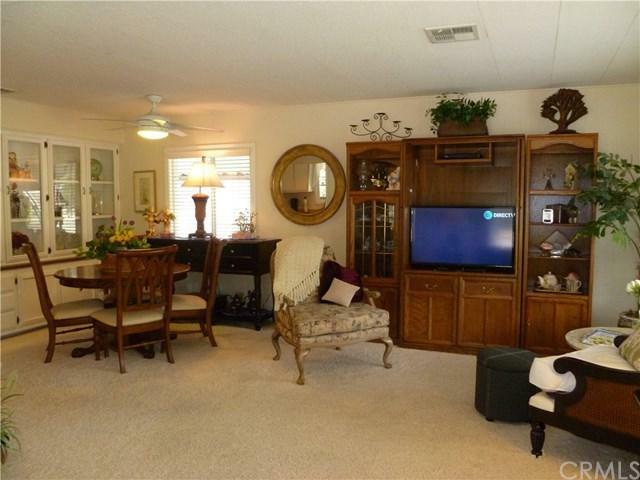 Enjoy the lovely built in buffet in the dining room. 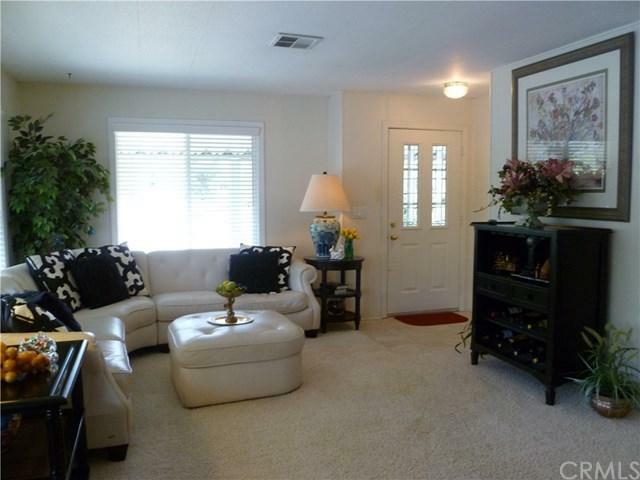 Dual paned vinyl windows are included throughout this cozy home. Well designed kitchen includes all appliances and plenty of cupboard and counter space. Separate laundry room has even more cabinets and includes the washer and dryer. 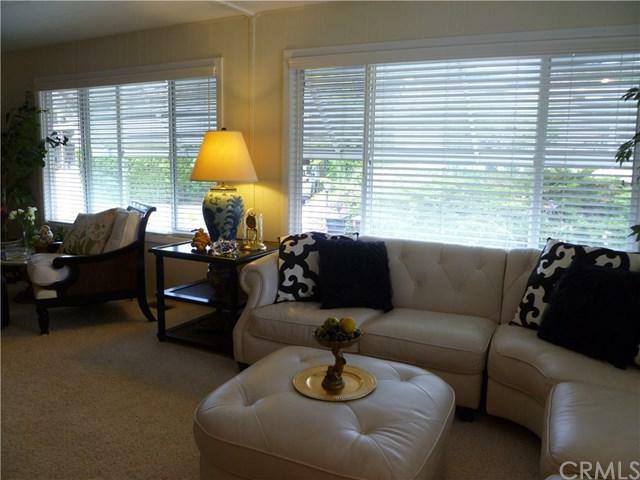 Spacious master bedroom suite has several windows overlooking the private patio, a dressing area and numerous closets. Relax on your large porch and enjoy senior living at it+GGs best in this rent controlled senior park. Experience all Historic San Juan Capistrano has to offer, great restaurants, shopping and entertainment. You are only minutes away from beaches and Dana Point Harbor. Call today for your private showing!